Recessed LED spotlight with colour rendering Ra >90 and world wide driver for use with single, double or triple installation frame. Available in 3000K and 4000K with four different beam shapes. 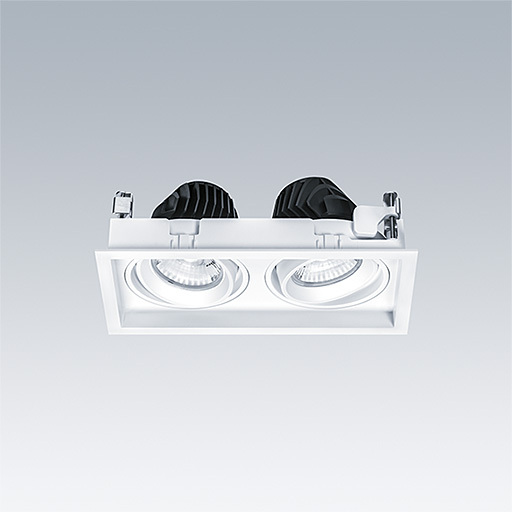 Chromaticity tolerance (initial MacAdam): 3; Lifetime performance: 50000 h L70; world wide mains input voltage range 100-240V at 50/60Hz; anti-glare ring in housing color; highly efficient and iridescence-free facetted lenses; installation frame with secure flag design for highest security fixing.